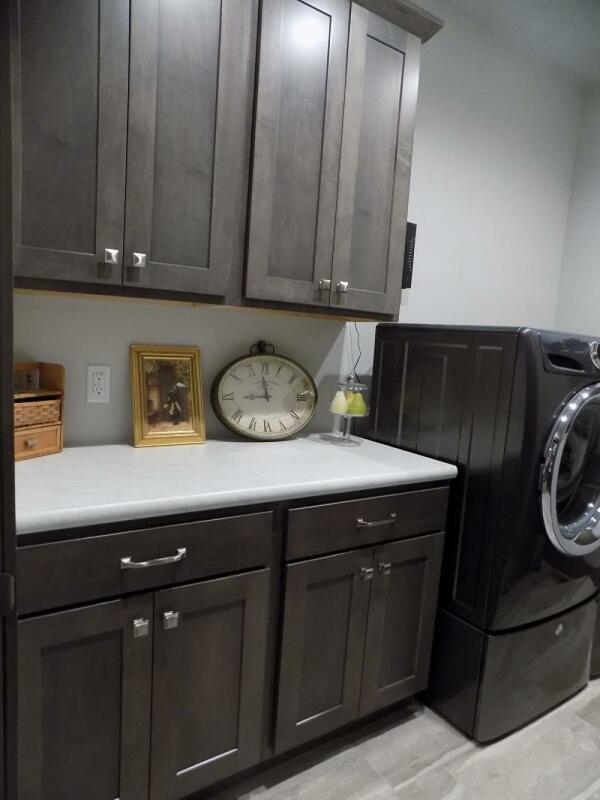 LaundryShowplace Wood Products maple cabinets in Pendleton door style with Dusk stain. 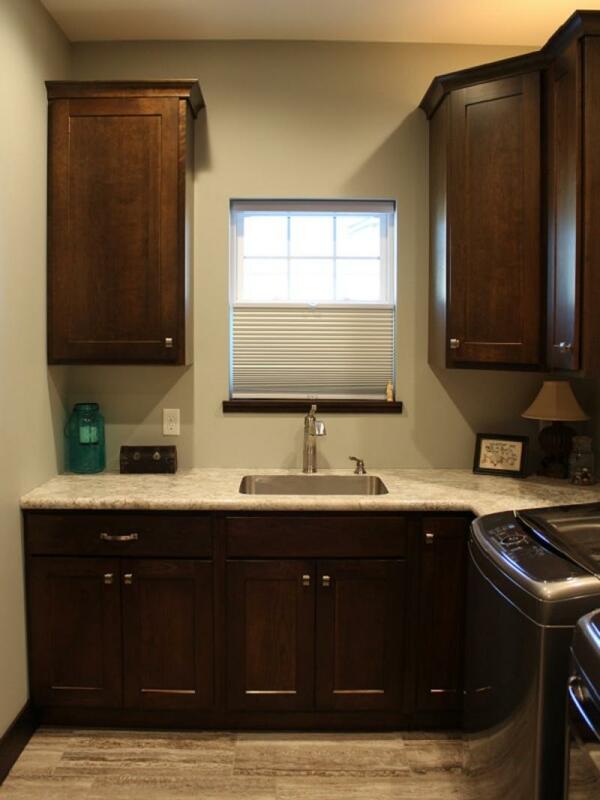 Wilsonart White Carrara crescent edge countertop. 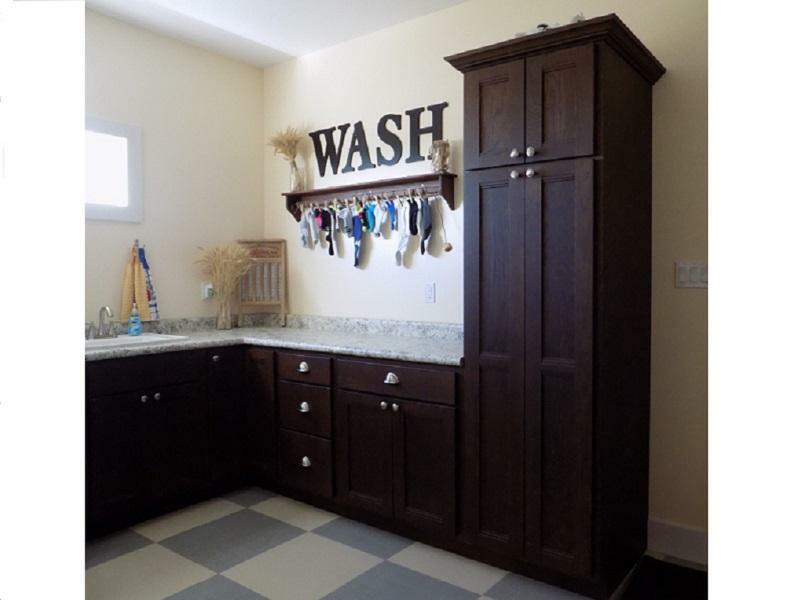 LaundryShowplace Wood Products cherry cabinets in Pendleton door style with Tawny stain and Wilsonart Spring Carnival countertop in crescent edge.